Coming in classic black onyx or radiant red coral, this Table Tennis Bat Locket is a distinctive way to remember that special someone. 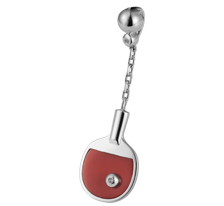 The Table Tennis Bat pendant is made of 925 silver and can hold a single small photo. 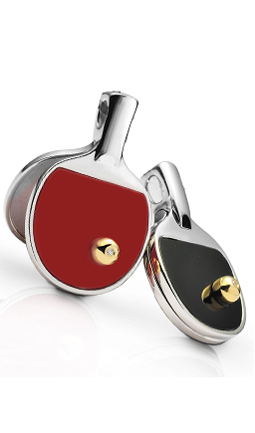 The locket comes in either black onyx or red coral. On the face of the bat is an 18k gold-plated ball with a diamond set in the center.